Yoda is our expensive bag of dog food. We were caring for our son’s dog, Trinity, while our son, Michael Joseph Butka, was in Texas taking some Air Force training after his return from Qatar Air Force Base in 2002. The only place to buy her dog food at the time was at the pet store. We saw this sad little Italian Greyhound puppy peeking out of the cage. He had a half price sale tag hanging next to him. My husband and I sat there for about 30 minutes before the dog came out from his hiding place under my seat in the greeting area. Once he decided we were going to keep him he wouldn’t leave our side. Not even the next day when we return for the store Veterinarian to check him out. The doctor was amazed how quickly the dog adjusted to us in 24 hours. My husband couldn’t decided if we would name this 6 month old puppy Spok or Yoda. I said he had too much personality to be a Spok. Besides he is all ears. 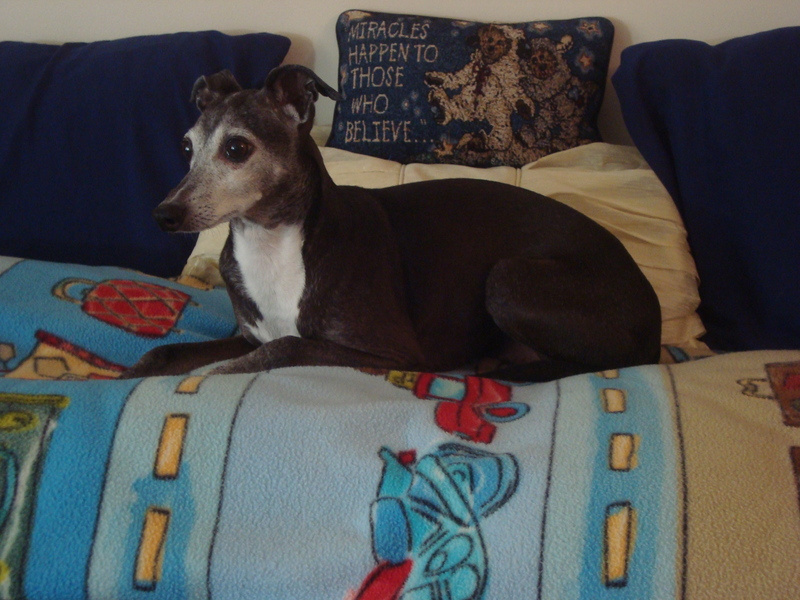 Yoda, he became bringing much love, comfort and joy into our lives until a fast growing brain stem tumor took him from us on 24 Oct 2013. 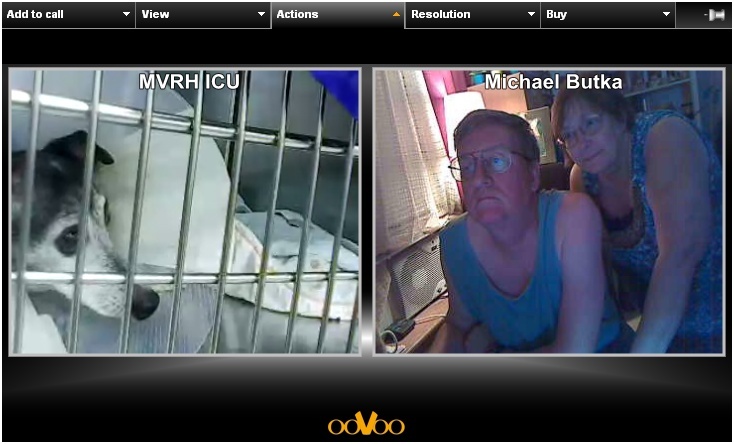 The photograph above is from the Massachusetts Veterinary Referral Hospital, allowed us to watch and talk with Yoda via ooVoo (like Sykpe.) before and after his surgery from our home in Merrimack, New Hampshire. Previous Post The K.I.S.S Method of genealogy-My Way!